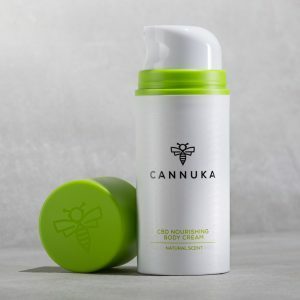 CBD Oil Review rates Cannuka with one star because it qualifies for the Mission Badge. “Separately they’re powerful, together they’re Cannuka.” We’re talking about two of nature’s healing elixirs: CBD oil and manuka honey. The potent combination is the trademark of Cannuka, an American CBD topical company. Their polished beauty care brand focuses on giving skin a healthy glow the natural way. Like CBD oil, manuka honey offers a ton of natural benefits, especially for the skin. We dig the combo, but we’re missing too many basic elements to rank Cannuka higher at this time. Cannuka was founded by husband-and-wife team, Michael and Kelly Bumgarner. Michael grew up on a farm in rural Ohio, while Kelly has a wealth of experience in the skincare world as a dermatology physician assistant (PA). 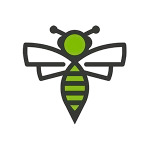 Their family-run business brings the benefits of CBD oil to the world through a topical health and beauty line famous for its CBD/manuka honey blends. Their products are purportedly anti-inflammatory, anti-aging, and glow inducing. The manuka honey used in the Cannuka line is sustainably harvested in New Zealand and has similar properties to tea tree oil, since the bee colonies that produce it are in close contact with tea trees. Manuka honey contains antibacterial and antimicrobial compounds not found in other honey. And Cannuka claims that theirs in particular has an astounding rating of UMF®+16 (medicinal-grade manuka honey begins at UMF®+10 and industry standard is UMF®+5). In short, this isn’t your average honey — it’s super honey. We’re particularly attracted to the CBD Healing Skin Balm which warms on contact and can be used all over the body to reduce blemishes and calm inflammation. Across the board, the ingredients check out, with the exception of Stearic acid in the CBD Nourishing Body Cream. Stearic acid is another name for polysorbate 60, an emulsifier treated with harsh chemicals that we will always call out. Unfortunately, key components of the Cannuka brand are missing in action. They have one CoA posted that appears to be over one-year-old (we can’t tell due to blurry text) and does not include results for contaminants testing. So the Safety Badge is a no-go. And with zero information about where their CBD is sourced or how it is extracted, we are unable to grant the Quality Badge as well. 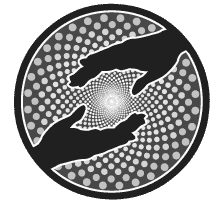 The Charity Badge and Innovation Badge are afterthoughts with the basics being absent. 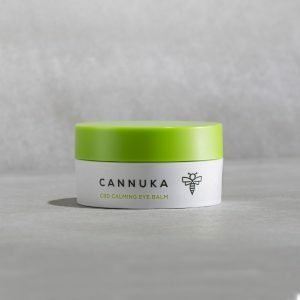 Bottom Line – Cannuka has a beautiful-looking beauty line full of CBD topicals with high-quality ingredients. To ensure a positive experience for customers, we encourage them to disclose more information about their actual CBD and to conduct more tests for safety. And then of course, put the results online so we can see them. Cannuka’s mission is to legitimize the CBD industry to create healthier people and a cleaner environment.